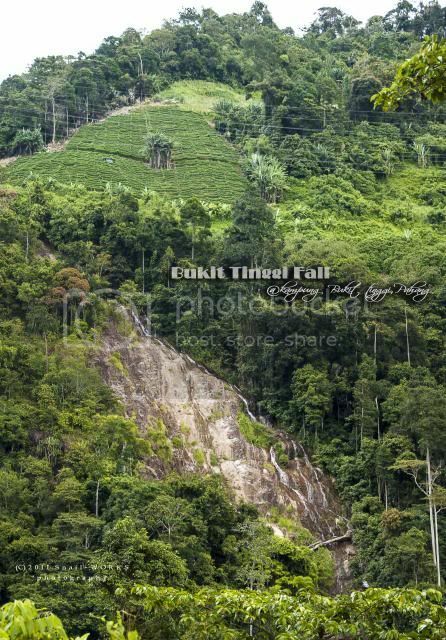 地点 Location Kampung Bukit Tinggi, Pahang. 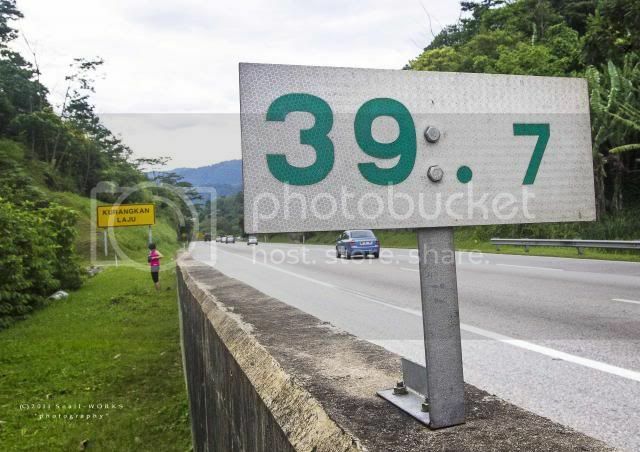 +/- 39.7km from Karak Highway (Gombak) toll gate. D - 车辆行进 Vechicle Accessibility : [ ]. 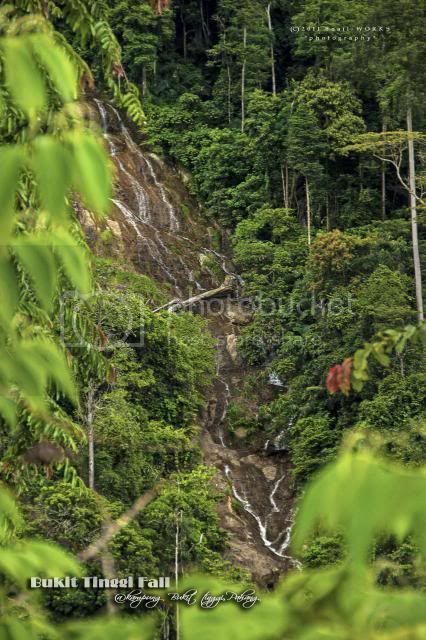 Those always travel along the Karak Highway may notice this slim ribbon like waterfall at road marker 39.7 around Kampung Bukit Tinggi. 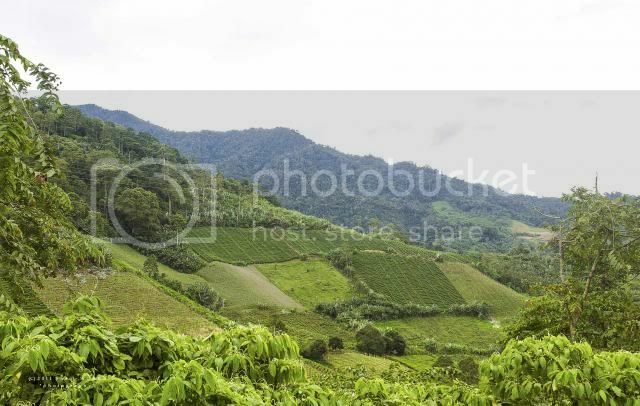 Most of the hill slopes surrounded the Kampung Bukit Tinggi had been developed as farmland. Viewed the waterfall from far after we parked our car safely at a small road junction. The water volume is very low during our visiting. The water is flowing down from the farm above, think the water had been polluted by the agriculture chemical too. 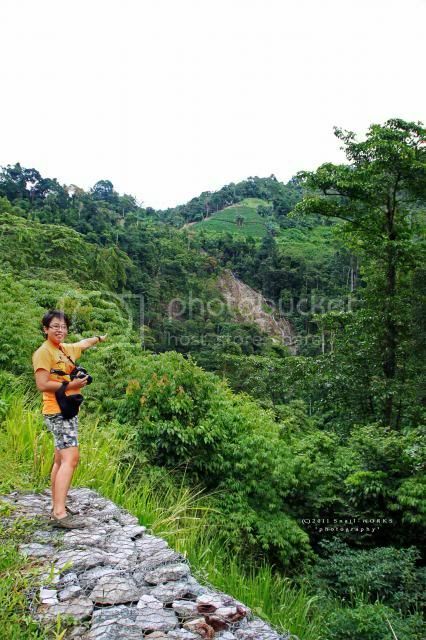 Have you been to the Bukit Tinggi Fall?